Intex Technologies, the maker of computer peripherals and feature phones has launched it’s first Android Smartphone called Aqua 4.0. It is a dual-SIM Android Smartphone runs on Android Gingerbread and is priced competitively at Rs. 5,490. Aqua 4.0 is powered by a 800MHz processor, 512MB ROM, 131MB inbuilt storage expandable upto 32GB. 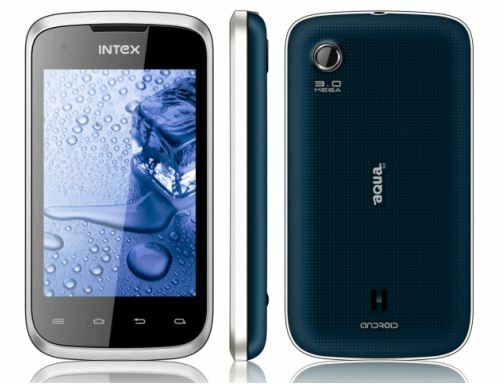 It runs on Android 2.3.5 Gingerbread OS and has dual-SIM capability (GSM+GSM). Other specifications of Aqua 4.0 include a 3.5 inch display at 480 x 320 pixel resolution, 3MP rear camera, 0.3MP front camera, 3G, USB, Bluetooth. It comes with 1400mAh of battery that gives around 3 hours of talk time and 140 hours of standby time. According to Intex, Aqua 4.0 supports English and Hindi and is aimed at urban & semi urban students and young professionals. It is available in Black and White colors and will be sold through retail stores as well as online portals.